Apple chief executive Tim Cook faces his greatest challenge on Tuesday as he steps into Steve Jobs’s shoes for the launch of the next iPhone, the biggest profit driver at the world’s most valuable company. The event at Apple’s headquarters in Cupertino, California will offer the world its first look at whether Mr Cook can recreate the frenzy and almost religious fervour that Mr Jobs has made a hallmark of every new product launch and a critical ingredient in the company’s success over the last decade. 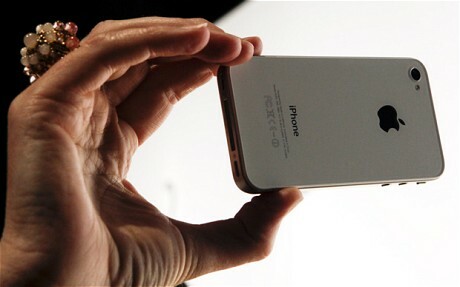 Observers in Silicon Valley and analysts on Wall Street predict a thinner iPhone 5 equipped with a faster A5 processor, more memory and an eight megapixel camera. Since its launch in 2007, the iPhone has developed into Apple’s biggest source of sales. The company sold 20.34m in the second quarter, smashing Wall Street’s forecasts and more than doubling sales from the same period in 2010. The last two months, though, have seen threats to Apple’s share of the smartphone market and its dominance in the tablet computer market intensify. Google’s $12.5bn (Â£8bn) acquisition in August of Motorola Mobility strengthens the position of its Android operating system that’s used in many rival phones and also gives the search engine control of a handset maker for the first time. Then, last week, Amazon unveiled the Kindle Fire, a tablet computer that’s the most serious challenge yet to Apple’s iPad.